Q: What does it mean: Up to 110% more light and up to 20% whiter light? A: With the NIGHT BREAKER® UNLIMITED range, OSRAM offers a bright and ECE approved halogen headlight bulb. Compared to standard bulbs, they shine up to 110% more light on the road ahead; in particular in the "safety-zone" between 50m and 75m ahead of the vehicle. The luminance is nearly twice as much in comparison to standard bulbs. These benefits are achieved with a developed high-performance filament and the two COOL BLUE® INTENSE blue ring coating for a whiter, glare-free light. Nearly 50% of all fatal traffic accidents happen at night. Inadequate lighting is one of the most common causes of night time accidents, often also involving pedestrians and cyclists who are not recognised in time. Many of these accidents could be avoided. NIGHT BREAKER® UMLIMITED bulbs - with their better road illumination and the up to 40m longer beam (H7 type) - offer a much better view on the road ahead as well as improved reaction times and maximum safety for all weather conditions. Additional benefits are reduced eye strain with up to 20% whiter light for comfortable, stress-free driving at night, and the striking design with the partial COOL BLUE® INTENSE coating and silver tip (H4, H7 and H11 types). And of course, NIGHT BREAKER® UNLIMITED are fully ECE approved (E1) without restrictions for use on roads throughout Europe. Q: Does driving with dipped beam at day mean additional costs? A: Costs do rise slightly: on the one hand, this is caused by higher fuel consumption (approx. 1-2% respectively 0,1-0,2 litres of fuel per 100km). On the other hand, this is a result of higher bulb use and therefore a higher rate of bulb replacements. Q: What does the information on the bulb mean? H1, H4, P21W etc. 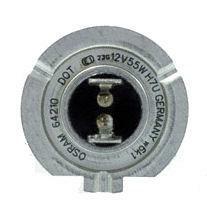 are the standard international categories for ECE standardized bulbs, e.g. 55W stands for a rated wattage of 55 Watts. The approval mark issued by the relevant authority (the Federal Road Traffic Office in Flensburg in the case of E1) is also displayed and is either 37R (E1) a 5-digit number or just (E1) a 3-digit number (which may comprise alphanumeric characters). Q: How can I legally get more light on the road? A: The simplest and most cost-effective way is to replace your standard halogen headlight bulbs with the corresponding NIGHT BREAKER® UNLIMITED type. OSRAM NIGHT BREAKER® UNLIMITED provides up to 110% more light on the road and an up to 40m longer beam (compared to standard bulbs). Q: Do OSRAM automotive bulbs have to be recycled? A: Conventional automotive bulbs such as those for indicators, brake lights, tail lights and interior lights, do not contain any substances that will harm the environment, so no special waste disposal measures need to be taken. The same applies to halogen headlight bulbs. 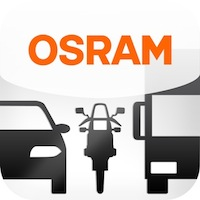 Q: Is there a guarantee process for Osram Automotive Products?